LinkYid integrates newly arrived Jewish immigrants or emerging professionals/ entrepreneurs with well-established families and mentors in British Columbia. We need community members to offer their support to people who are beginning a new chapter in their lives. 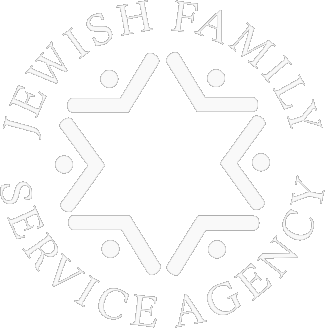 As Jews, we are obligated to ensure that no Jew in our community is left alone without the assistance they need. LinkYid is a program that provides connections with people who are new to Vancouver who are looking for employment opportunities or wanting to build a social network within the Jewish Community. Many families and individuals new to Vancouver left behind employment and social ties, only to feel isolated in a new city, without family, friends, and the assistance they need to prosper in their careers and social lives. They have unique skill sets and valuable experience, but have limited opportunities to apply their expertise due to a shortage of connections. Our volunteers are committed to learning about participants’ skills and background information to be able to make introductions to community members with networks that can help. We are in search of people in our community network to join LinkYid as hosts and mentors. Established families and individuals will oversee the transition of a newly arrived people to Vancouver by offering welcoming support. Through the development of a mentoring relationship, both hosts and newcomers will mutually benefit from the partnership. Find out how you can get involved in LinkYid and help play a key role in improving our Jewish community, one family, one person at a time. LinkYid is a program that harnesses our community’s strengths and networks to support families that have newly arrived in Vancouver. Newcomers looking to integrate into the Vancouver Jewish Community and optimize their employment prospects will benefit from the LinkYid program. Host families, mentors, interview coaches and a a plethora of networking opportunities are all assets that participants in this program can expect access. This program connects young professionals and entrepreneurs at the beginning of their professional careers with established mentors. If you are an upperclassmen in college university, or in the first years of carreer or business httis program will help you expand your network, develop your career or sharpen your business plan. What school do they go to? What are their ages? What are their interests? Do they have special needs? Are you a member of a synagogue? Included are a list of areas that LinkYid can help you with. What are you interested in? What is your desired area of employment? Are you interested in mentorships? If yes, please describe what field(s) you would like to be mentored in. I have a great network, just ask me! To find out more about the program, please contact Rachael Lewinski by email or using our contact form.